Black patent leather with buckle. Wide toe and thick heels are synonym of the 1960's shoes. The use of patent leather or metal tended to the trend of the new artificial texture of this time. In the 1950s, Roger Vivier was known as a designer of impressive shoes to harmonize with the classic and elegant style. In the 1960s, he created fresh and new futuristic designs with the trend. 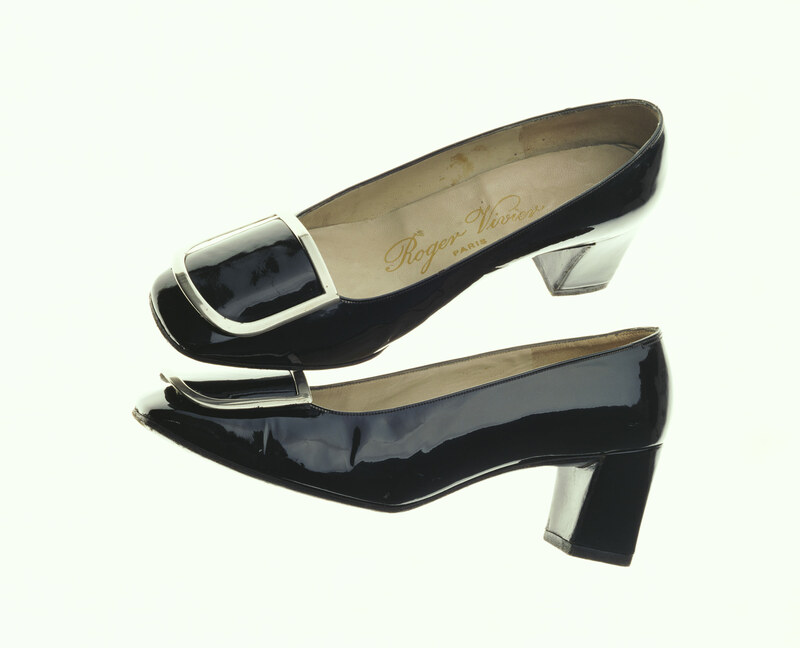 In 1965, he made a pair of black patent leather pumps with square buckles for the "Mondrian" dress of Yves Saint-Laurent (1936–2008). They resulted in a craze and became one of the standard designs for shoes in the 1960s.